About the Worldseeks to highlight, people, discoveries, trends not fully covered by mass media. About The World guests will talk about subjects as diverse as a new toilet seat that ... See More measure cardiac activities; long term effects of marijuana on young adults; leadership secrets of the top .01%; strategies for teen-parent communications; the gig economy; incontinence; learning toys; and more. Every week "Aspects of Writing", Hosted by James Kelly, will bring you an informative look at every aspect of the writing industry. Guests on the show will share what inspired them to write. Together, we will explore the creative side of writing and how to format your work. We will discuss where to go for guidance regarding ... See More editing, printing and how to distribute your work. If you are a scriptwriter, we will examine what it takes to get your work into script format and expose your work to agents or producers. ROBIN JILLIAN is host of Awaken Radio and the Author of the deeply intimate and spiritually charged memoir Hugging Trees in the Dark (Finding the Courage to Free the Heart). She is also an evolutionary astrologer, which brought her in touch with the necessary growth and evolution of the soul’s purpose. An entrepreneur for over 35 years, ... See More she has empowered many to awaken to a new way of being. She will guide you with the questions of life that ignite deep self-inquiry, helping you to recognize that you too have the power to change your life, honoring your own authentic needs and values. Robin currently lives in Southern California, has three children and is passionate about growth and self-development. She enjoys being in nature, dancing and riding her bike under the stars. With up to 10 millions listeners a month, Building the Future has quickly become one of the fastest ... See More rising nationally syndicated programs. With a focus on interviewing startups, entrepreneurs, investors, CEOs, and more, the show showcases individuals who are realizing their dreams and helping to make our world a better place through technology and innovation. Chosen Generation mission is to share and educate and bring about a change to a Godly nation once again. Pastor Greg brings on great guests to help with the dissemination of truth from a biblical perspective and help reform our country back to the way it was designed. Conscious Millionaire is a radio show, community, and academy created for business owners, experts, coaches, and marketers who want to a grow high-profit business that makes a positive impact. We help you develop the mindset, systems, and marketing necessary to grow your business. Host J V Crum III interviews the world's top ... See More entrepreneurs, business owners, and experts in the conscious business revolution. He holds a JD, MBA, MS Psy and is the #1 Best-Selling Author of "Conscious Millionaire: Grow Your Business by Making a Difference". Visit www.ConsciousMillionaire.com to learn more about our group programs, masterminds, private coaching, wealth products and the "Business Academy." Contact us at: jvcrum3@consciousmillionaire.com. For those who believe in the Constitution, the Bill of Rights, the Declaration of Independence, and the freedom in which to express those core values, the Conservative Commandos Radio Show believes that any person who listens to talk radio should have a turn at expressing their opinions with open dialogue. A forum where individuals can ... See More exchange ideas and thoughts that can be heard among our Co-hosts, callers and guests. The host of the show, Dr. Diane Hamilton, is an author, award-winning speaker, and professor, who has ... See More strong ties to top business leaders. Her experience as an MBA Program Chair for the Forbes School of Business, as well as her speaking engagements for top companies like Forbes, and her consulting career, has led to many connections; this affords listeners the opportunity to hear her interview some top names in the business world today. Dr. Hamilton’s education (which includes a Ph.D. in Business), her fascinating guests, and her playful personality are an engaging combination. He founded Evolution in 2006 as a way to make an ... See More impact in the world through personal development and education. He also is still very active in the day-to-day operations of the company, speaks at most of the company's live events, and is responsible for new content creation like our virtual masterclasses, and new live workshops. Roger Blankenship reveals secrets he usually only shares with his students and consulting clients. Whatever your situation — whether you have money, a little money, or no money, whether you have training or not, there is an opportunity waiting for you. Everyone’s circumstances are different. There’s no shame in admitting concerns or ... See More fears that have been holding you back. Devoted to the business of purveying food and decanting wines, Food and Wine Radio is a unique program highlighting not food recipes or wine vintages but how to make a profit in these competitive but financially rewarding ... See More sectors. •How does a new product get on supermarket shelves? •Where can the best loan rates be secured? •What are the FDA regulations concerning this product? •When should the search for a distributor begin? •Why is it important to have a government inspection? Fred Claridge, Head of the Certified Senior Guidance Association, has been an advocate and is known as "The Voice of Senior's Rights" since 1995. Claridge's business background includes ... See More President of 2 mortgage companies in Los Angeles, California and a former California licensed real estate broker. He served as Vice President Loan Officer for Union Bank, California; Imperial Bank and Lloyd's Bank, California. Fred's perspective on news and World affairs is unique and pulls no punches. Fred "Spouts Off"in a way different from any other radio host. After losing a Million in a day in the Stock market, for fun Fred appears weekly on Stuart Vener's radio and television show as the "Stock Market Moron"
VERONICA has conducted over 10,000 highly individual fully two-way conversational telephone and in-person readings/consultations with individuals in many ... See More countries, including medical doctors, psychiatrists, psychologists, and psychoanalysts, as well as CEO's and founders of companies and a wide range of professional intuitive practitioners. James Miller | Lifeology is a 30 minute weekly inspirational radio show dedicated to teaching practical life lessons. The concept of Lifeology (study of life) asserts that there is always a lesson to learn in life. We are all linked by our ability to express and feel emotions but the scenario in which it is experienced will be different ... See More for each person. What sets Lifeology apart from other radio shows is James is licensed psychotherapist with years of experience. In each episode he teaches valuable tools and techniques that the listener can apply to their life. Each episode also features a guest who has had relevant life experiences in which it changed them or taught them a valuable lesson. The Jiggy Jaguar Show is a daily show heard coast to coast. Featuring amazing guests and experts that help better our lives. We believe that everyone has a big dream. Some dream of making the next great product. Others dream of innovating the next world changing idea. Others dream of influencing the world around them for the change they see. Our dream is to help others gain the courage to chase the ... See More life they were created to live. We share the stories of those changing the world by engaging with their dream. Welcome to jumbleThink. The show features fireside chats with leaders who have a story worthsharing and lessons worth hearing. Fans will gain insider insights and applicable takeaways about the entrepreneurial journey not found in MBA programs. We’ll cover their background and passions and explore their gristmill moments of entrepreneurship. Join us to ... See More explore and navigate the dark moments of entrepreneurship such as running out of money, spouse leaving, picking up side work, impostor syndrome, etc. as well the upsides such as best advice ever given, "what I know now that I wish I knew then", and beating the inner-critic! The road to success is hard enough. This is the World-wide #1 Fortune 500 Podcast and Inc Magazine Top Podcast for Next-Gen Leadership and Business Families! Dov Baron's Leadership and Loyalty Show focuses on inspiring those who lead to live deeply meaningful, purpose driven lives that are heart, soul and mind aligned. So that you can have not only the success, but ... See More also the fulfilment that allows you to make the massive difference you came here to make, and be an extraordinary leader with a cult like following! For over 35 years, Dr. Georgianna Donadio has been a pioneer in the field of behavioral health, working with healthcare professionals and ... See More patients to change behaviors that lead to improved health. Her pioneering work is the foundation for the Amazon #1 Best Selling book, Changing Behavior: Immediately Transform Your Relationships with Easy-to-Learn, Proven Communication Skills (SoulWork Press, 2012). As a sought-after Integrative Health Care Provider, behavioral health and relationships expert, media personality, and bestselling author, her work has led to dramatic lifestyle changes for millions of people worldwide. As a featured blogger for Huffington Post and Dr. Mehmet Oz’s ShareCare and Daily Strength, as well as Easy Health Options and Jennings Wire, her expertise has been showcased in hundreds of print, online, radio and TV interviews including on Oprah.com, WebMD, CNN News, TODAY/MSNBC, Fox News, CBS, the Wall Street Journal, New York Times, Readers Digest, Night Beat with Barry Nolan, and Self and Shape Magazines. In addition, for 20 years, she hosted a nationally syndicated cable TV show, Woman to Woman® which explored all topics of interest to women with a special focus on relationships. A long-time proponent of the important role nurses play in healthcare, she is one of only six American Florence Nightingale Scholars, is an award-winning Nurse Advocate and has dedicated her life to improving the quality of healthcare delivery and patient advocacy. Her work in behavioral health began in 1976 when, after years in nursing and medical administration, she recognized a critically important missing piece within our current medical care delivery system. This awareness motivated her to establish the Boston based National Institute of Whole Health and develop Behavioral Engagement™, the first known whole person health education and health behavior change model developed, tested and utilized in clinical settings. Georgianna lives on a 20 acre, small farm, outside of Boston, which is a peaceful sanctuary to her 2 paint ponies, Margaret and Blaise, goats and sheet, as well as dozens of forest friends. The Note Closers Show Podcast covers everything you don’t know about real estate investing today. Scott Carson, CEO of We Close Notes, interviews experts in the note investing field, including vendors he works with, and students he has trained. Prepare to be educated and entertained on the secrets of how you can control millions of ... See More dollars worth of property for pennies on the dollar, through investing in distressed real estate notes. When you ... See More listen and call in to my show, you won't find ridicule. I believe that people have a right to say whatever they want to, and together we'll make it work. Stop worrying about offending or being offended, and start really communicating and healing our community by listening to the REAL DON SMITH SHOW. As a licensed therapist, I often work with people suffering from mental illnesses and drug and alcohol addiction. I discuss these issues as they often cause problems, like crime, within the community. I also like to talk about politics, religion, education, the military, and finance; and I try to lighten the mood with sports and entertainment coverage, too. They are the precursors of RECALCULATING, a unique new weekly radio program drawing from the best-selling book and ... See More podcast and aimed at small business leaders. It will also feature two of America’s best known commentators and small business experts. Michelle is the author of Love Me Don't Leave Me and The ... See More Critical Partner. She is co-author of ACT for Interpersonal Problems, The Interpersonal Problems Workbook and Communication Skills for Teens. The Hottest Show on Radio for Political, Social and Cultural Talk. Sayin it Plain delves into political, social and cultural issues striving to help those who do not have a voice know the issues that affect their families, friends and their community. Sayin it Plain has a mission to spark our listeners into action,We are a progressive ... See More liberal show and proud to be part of #resistanceradio as we fight the Right wing Republican propaganda machine that is trying to destroy the middle class in this country. On Sayin it Plain we fight to put an end to racism, classism, discrimination and inequality in this country. Martin Luther King once said “The ultimate tragedy is not the oppression and cruelty by the bad people but the silence over that by the good people.” This is what Sayin it Plain Radio is about we strive to be a voice for the voiceless.The show was built on the motto of “Keeping it real is not just a phrase” and this is what we do as we hold no punches to give you the unfiltered news and information you need to be informed to vote to help you and your community. Sayin it Plain brings the “Fire” and “Ice” Hosted by Business Owner, Author, Motivational Speaker and Progressive Liberal Political Insider TJ Harris and Co-Hosted by Business Executive, Entertainment and Media Insider Ms. Chelle. They team to bring you the type of radio you wont hear on traditional stations. Fight for your right to be informed ! He currently oversees an Internet publication network with more than 4.5 million opt-in small business readers and a million more ... See More stakeholders in HR and healthcare. He has previous senior management experience with Thomson-Reuters, McGraw-Hill and Informatics in both the editorial and production functions. His editorial experience includes stints with a number of national publications as editor and writer. In 2007 Tamala authored her first poetry book “Spiritual Expressions” and this ... See More further led her to write more books “Divine Women of God” a devotional for women and then a children’s book “Donovan Shoes”. Her latest book “Woman in the Mirror” was released in 2017 in which she continues to promote. This book resignates close to her heart as a woman who was challenged as a youngster with bullying in school and who also did not feel she was worthy or beautiful. The Woman In the Mirror speaks to other women who battle with their external beauty vs. internal beauty. The weekly nationally syndicated Stuart Vener Tells It Like It Is Radio Show. The show features Expert guests talking about important topics that impact our lives. We cover topics including politics (Independent), financial matters, health and wellness, family, spiritual (all religions), conspiracy theories, adventure, celebrities and ... See More Hollywood matters, authors, musicians, artists, world matters, environment and more. We have something for everyone. The Tanya Free and Friends Talk Show WCLM1450AM in Central Virginia and WMXP 95.5 FM in Greenville ,SC streaming LIVE on Black Talk Radio Network and www.tanyafree.com @ 2pm EDT. 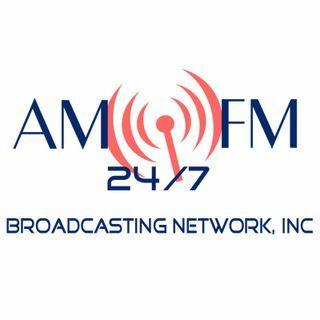 and on the AM/FM Broadcasting Network. Studio Lines will be open @ (804) 321 1010 or Text TANYA to 72727 to share your comment or opinion! Can’t listen Live? No ... See More problem! The podcast will be later tonight. Listen on the go. Tanya also serves as Executive Producer and Host of The Tanya Free Experience "Destination Jazz" on WCLM 1450AM and Tanya Free and Friends Jazz Radio online at Live365.com. Tanya’s busy schedule includes being the featured columnist for the Heart and Soul of the City newspaper since its inception in 2009. A Washington DC native, Tanya resides in Richmond Virginia and is an alumnus of Virginia State University. Michael L. Brown is the founder and president of FIRE School of Ministry in Concord, North Carolina, Director of the Coalition of Conscience, and host of the daily, nationally, syndicated talk radio show, the Line of Fire, as well as the host of the apologetics TV show, “Answering Your Toughest Questions,” which airs on the NRB TV ... See More network. He became a believer in Jesus 1971 as a sixteen year-old, heroin-shooting, LSD-using Jewish rock drummer. Since then, he has preached throughout America and around the world, bringing a message of repentance, revival, reformation, and cultural revolution. Dr. Brown is the author of 27 books, including, Our Hands Are Stained with Blood: The Tragic Story of the “Church” and the Jewish People, which has been translated into more than twelve languages, the highly-acclaimed five-volume series, Answering Jewish Objections to Jesus, a commentary on Jeremiah (part of the revised edition of the Expositor’s Bible Commentary), and several books on revival and Jesus revolution. His newest books are The Grace Controversy: Answers to 12 Common Questions (2016), Breaking the Stronghold of Food: How We Conquered Food Addictions and Discovered a New Way of Living (2017, with Nancy Brown) and Saving a Sick America: A Prescription for Moral and Cultural Transformation(2017). Randall Sean Garcia, Wes Gay, and Will Bagget combine to give you the top leadership advice that you can find, with a Millennial twist. Find out how you can build your personal brand as an entrepreneur or corporate executive. Each episode is jam packed with actionable tips and advice that will help you thrive in this new era of ... See More leadership. If you’re like most of our readers, you’re a successful, high-achieving millennial. You are committed to winning at work, and—equally important—succeeding at life. You strive to grow, get better, and reach your potential. You want to leave a lasting impact on your world and break the negative stereotypes that are associated with our generation. "I feel overwhelmed. No matter what I’m doing, I feel like I should be doing something else. I have my degree from a great University, I have a decent job, but there is something missing. Technically, I guess I am considered a leader to some, but I don't feel like it. I show up to work everyday just to merely accomplish my tasks and bring home my paycheck." and finally brings prosperity & Sovereignty to all! Sovereign Hero Crypto Currency backed by the Innovative Bitshares network. The “Think Outrageous Radio Show with Kevin Short” is all about improving your business, workplace culture and life experiences more than you ever thought possible! Challenging the status quo is a must, learn how to reject conventional wisdom regarding the value of your business. Join Kevin Short and discover where this unique journey ... See More may take you! Welcome to “Thriving Entrepreneur” with your host Steve Kidd. Steve is a 3rd Generation minister and business coach who has actually been selling since he was 5 years old! His show will help you break through barriers keeping you and your business stuck or plateaued. Steve and successful entrepreneurs from around the world help you ... See More re-frame obstacles into exciting possibilities, so you can take that leap of faith and discover the Thriving Entrepreneur in you! The Total Education Network is the only educational network that airs shows seven days a week. The Total Education Network is heard in over 180 countries and has over 2 million listeners a week. The Total Education Network is syndicated on 100 plus stations. Here are some of the stations and markets the show is being played on: 1080 WWNL ... See More Pittsburgh, 1560 KLNG Omaha, 1050 WFAM Augusta, 1480 KIOU Shreveport, 1380 Kansas City, 1450 Chattanooga, 610 WVTJ Pensacola, 1250 WYYC York, 88.3 FM Pittsburgh, 107.5 FM Whaley UK, London, UK, Boston, Chicago, Los Angeles, Montreal, Canada, Detroit, Tampa, Mississippi, Oregon, Bethlehem, Lincoln, Baltimore, Orlando, Kingston, Jamaica, and, New Hampshire. There 1,300 separate federal organizations that are a part of America’s national government. These entities have a more direct and personal ... See More impact on the daily lives of the citizenry than any elected official, court, or legislative body, through the rules and regulations they adopt. Ken D Fosters’ Voices of Courage Show is more than just another radio program! It will take you on a journey to find your courage, breakthrough your limits and master your destiny. No kidding! Ken has brought together the most Courageous People on our Planet who will inspire greatness with you and change your life for the better. In ... See More fact, if you are a regular listener, you will soon see the unseeable, know the unknowable and do the impossible. Every time you make a purchase from the xyzbuys catalog OR one of the popular on-line merchants in our referral network, you willaccumulate points toward cash rewards. The xyzbuys Cash Rewards Program is separate from any discounts/cash rebates that merchants may offer directly to their customers. (To begin your shopping, please access ... See More the Homepage Categories or use the turnstile display or go to All Shopping links for listing/selection of all on-line merchants). Through 04/30/2018 xyzbuys is assigning 3 points for every dollar of purchase instead of the usual one point for every dollar (excluding tax and shipping). When a total of 1500 points or more is reached, xyzbuys will convert the accumulated points at 1.25% in cash rewards to you. ( This means you will actually get 3.75% cash back for purchases totaling $500 or above ).